As an extension of Me v PMDD, all content on The Warrior shall aim to empower, support, and offer hope to PMDD Warriors of all walks of life, opinions, and backgrounds. Contributing writers recognize that each person’s path to healing with PMDD can be different. Thus writers don’t proclaim one right way to healing, rather offer multiple helpful suggestions through lived experience and research. These can be summaries of articles and scientific literature on PMDs, or they can be general summaries of helpful resources, validated treatments, or novel approaches toward better managing conditions strongly related to PMDs. We can help connect you with top researchers, clinicians, and advocates in the PMDD/PME field to get their thoughts on a variety of topics. Interviews are mainly assigned to Regular Contributors. What treatment options have you tried? What’s worked/not worked for you? How do you manage PMDD & work? PMDD & kids? PMDD & school? How do you deal with suicidal ideation? Why do you fight PMDD? What do you know now that you wish your younger-self knew when she first experienced PMDD? How can we advocate for ourselves at the doctor’s office? What therapy should I try for PMDD? Warriors submit story drafts using the form above or submit story ideas to warrior.mevpmdd@gmail.com. 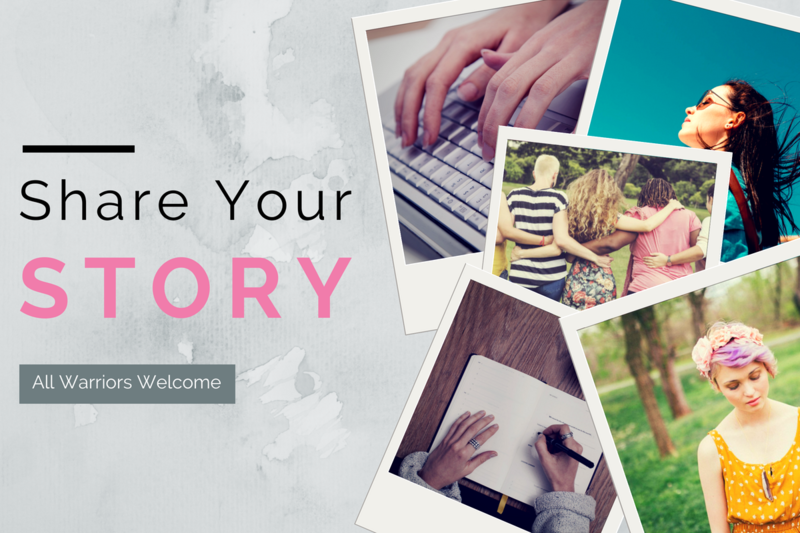 Our editors will get back to you within two weeks of submitting your draft or idea, to let you know if it fits with our content, and work closely with you over the following few weeks to edit and refine your draft before publishing on The Warrior and Me v PMDD’s Facebook, Twitter, and Instagram. All warrior writers start here. You’ll publish your first few pieces as a Guest Contributor (one-time submissions are also AMAZING!). We’ll include an “About the Warrior” section at the bottom of your piece with a short bio you’ll create and links to your website/blog and social media sites if you so desire. Written pieces are between 500-1200 words in length, but we’re flexible on this. *** If you can’t find a good image to include, no worries! We can work together to help you find one before your piece is published. If you have questions or a story idea, please email our editors at warrior.mevpmdd@gmail.com. Submit all pieces with this form.